I'm finally participating in Top Ten Tuesday, a really awesome meme hosted at The Broke and the Bookish! I heard about Across the Universe over a year before it even had a cover. I totally loved the summary and put it toward the top of my reading list, and that awesome cover only fed my urge to read it. 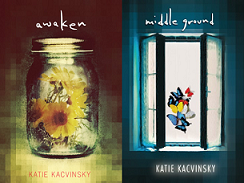 (Really, even though the last one doesn't match, I love all of these covers.) So, why haven't I read this series yet? I haven't even heard a single bad thing about them! This is ridiculous! I WILL start it this year! 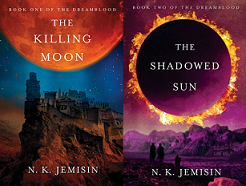 The Dreamblood Series looks so unique and otherwordly, and I'm talking about the beautiful covers and the summary. I only discovered it a short while ago, but I'm still impatient to read it when I have time. I'm a sucker for science fiction, especially when astronomy is in focus. (That's probably not surprising considering my blog header and my Sailor Moon obsession.) The summary reminded me a bit of Avatar, but it doesn't seem to be a copy-cat either. I remember the first time I saw Bones of Faerie at a bookstore, and I thought I would buy it soon. So much for that idea. I actually forgot about it for a little while, but after reading the summary once again, I'm sad I haven't gotten around to it. Usually stories about faeries have this inevitable lightness to it, but this one actually seems to be a bit darker than usual. It's a rare occasion when a zombie series catches my attention, since the only zombie series I've ever read is Carrie Ryan's The Forest of Hands and Teeth... series? Trilogy? Anyway, a couple of my friends were talking to me about how they loved Warm Bodies, and the summary they gave made me look into it. Of course, I've also been seeing TV spots for the movie, and altogether, I think this series sounds kind of cute. I'm sure I'm the last person on the planet who hasn't read these, which is insane since I've had my eye on this series ever since the first book came out years ago. Nothing about it has turned me away; I haven't heard anything bad about it at all. The concept of these books have intrigued me from the start, how basically everything is done with a computer. It seems kind of realistic, with the way technology is improving and affecting how humans interact. 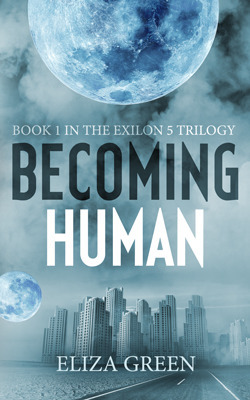 Looks like this dystopian series has a lot of potential. I really can't believe I haven't started this series yet. There are to be Poe references! POE REFERENCES! I love Edgar Allen Poe and am so interested in reading these! 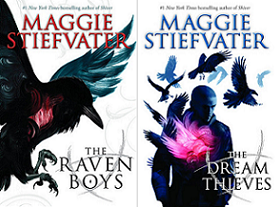 This new series by Maggie Stiefvater sounds promising. 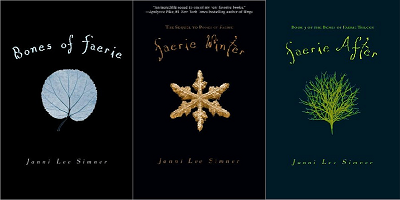 Though I generally liked her Wolves of Mercy Falls Trilogy, I wasn't the biggest fan of it, but I feel like her writing would be put to better use in a story like this. The Theatre Illuminata Series is yet another series I've had my eye on ever since the first one was released. Just as I was about to purchase Eyes Like Stars, I heard somewhere that one must be familiar with Shakespere to be able to follow the storyline. Can anyone confirm if this is true? Of course, I've read some Shakespere but not enough for me to feel confident in diving into this story. So, as soon as I complete all these, I'll start working on this list, which won't be too long. 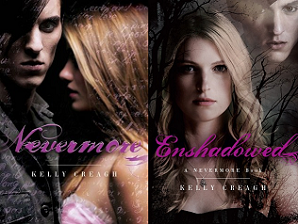 I also love the Dreamblood covers! N. K. Jemisin gets the loveliest covers. And this is the first time I've seen the cover to the Raven Boys sequel (not to mention first time seeing the name of the sequel), so THANK YOU.